Even though astronomy people are fond of touting the number of exoplanets found by the Kepler spacecraft, those planets aren’t actually confirmed. They’re more correctly called candidate exoplanets, because the signals that show something’s out there, orbiting a distant star, can be caused by something other than exoplanets. It can actually take a long time to confirm their existence. It’s Over For Kepler. The Most Successful Planet Hunter Ever Built is Finally out of Fuel and Has Just Been Shut Down. It’s been quite a tumultuous time for space telescopes lately! Less than a month ago, the Hubble Space Telescope went into safe mode after experiencing a mechanical failure with one of its gyroscopes (which has since been remedied). Shortly thereafter, the Chandra X-ray telescope went into safe mode as well, and for similar reasons. After three days, it’s operations team managed to get it back in working order as well. And now, after nine years of service, NASA has officially announced that the Kepler Space Telescope will be retiring. With no fuel remaining to conduct its science observations, NASA has decided to leave the telescope in its current safe orbit (well away from Earth). Far from being a sad occasion, Kepler’s retirement is an opportunity to reflect upon the immense accomplishments of this telescope and how it revolutionized the study of exoplanets. The Kepler space telescope has had a relatively brief but distinguished career of service with NASA. Having launched in 2009, the space telescope has spent the past nine years observing distant stars for signs of planetary transits (i.e. the Transit Method). In that time, it has been responsible for the detection of 2,650 confirmed exoplanets, which constitutes the majority of the more than 38oo planets discovered so far. Earlier this week, the Kepler team was notified that the space telescope’s fuel tank is running very low. NASA responded by placing the spacecraft in hibernation in preparation for a download of its scientific data, which it collected during its latest observation campaign. Once the data is downloaded, the team expects to start its last observation campaign using whatever fuel it has left. Since 2013, Kepler has been conducting its “Second Light” (aka. K2) campaign, where the telescope has continued conducting observations despite the loss of two of its reaction wheels. Since May 12th, 2018, Kepler has been on its 18th observation campaign, which has consisted of it studying a patch of sky in the vicinity of the Cancer constellation – which it previously studied in 2015. In order to send the data back home, the spacecraft will point is large antenna back towards Earth and transmit it via the Deep Space Network. However, the DSN is responsible for transmitting data from multiple missions and time needs to be allotted in advance. Kepler is scheduled to send data from its 18th campaign back in August, and will remain in a stable orbit and safe mode in order to conserve fuel until then. On August 2nd, the Kepler team will command the spacecraft to awaken and will maneuver the craft to the correct orientation to transmit the data. If all goes well, they will begin Kepler’s 19th observation campaign on August 6th with what fuel the spacecraft still has. At present, NASA expects that the spacecraft will run out of fuel in the next few months. However, even after the Kepler mission ends, scientists and engineers will continue to mine the data that has already been sent back for discoveries. 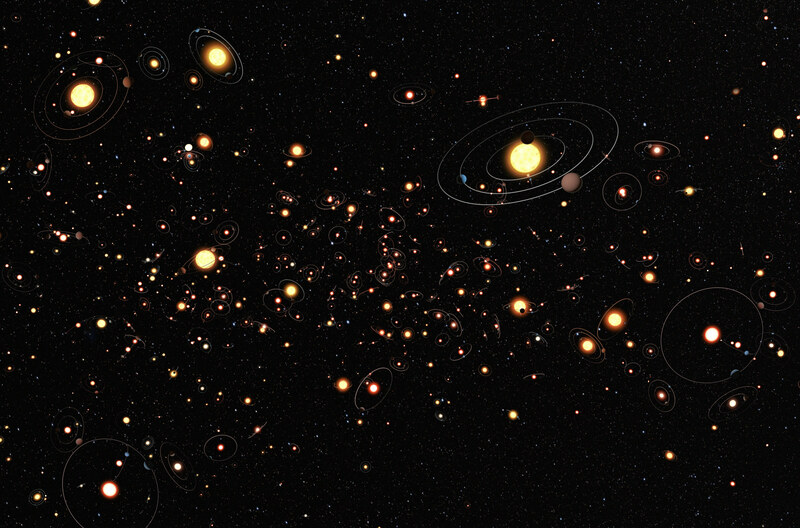 According to a recent study by an international team of scientists, 24 new exoplanets were discovered using data from the 10th observation campaign, which has brought the total number of Kepler discoveries to 2,650 confirmed exoplanets. In the coming years, many more exoplanet discoveries are anticipated as the next-generation of space telescopes begin collecting their first light or are deployed to space. These include the Transiting Exoplanet Survey Satellite (TESS), which launched this past April, and the James Webb Space Telescope (JWST) – which is currently scheduled to launch sometime in 2021. However, it will be many years before any mission can rival the accomplishments and contributions made by Kepler! Long after she is retired, her legacy will live on in the form of her discoveries. Since its deployment in March of 2009, the Kepler space telescope has been a boon for exoplanet-hunters. As of March 8th, 2018, a total of 3,743 exoplanets have been confirmed, 2,649 of which were discovered by Kepler alone. At the same time, the telescope has suffered its share of technical challenges. These include the failure of two reaction wheels, which severely hampered the telescope’s ability to conduct its original mission. Nevertheless, the Kepler team was able to return the telescope to a stable configuration by using small amounts of thruster fuel to compensate for the failed reaction wheels. Unfortunately, after almost four years conducting its K2 observation campaign, the Kepler telescope is now running out fuel. Based on its remaining fuel and rate of consumption, NASA estimates that the telescope’s mission will end in a few months. For years, the Kepler space telescope has been locating planets around distant stars using the Transit Method (aka. Transit Photometry). This consists of monitors stars for periodic dips in brightness, which are caused by a planet passing in front of the star (i.e. transiting). Of all the methods used to hunt for exoplanets, the Transit Method is considered the most reliable, accounting for a total of 2900 discoveries. Naturally, this news comes as a disappointment to astronomers and exoplanet enthusiasts. But before anyone starts lamenting the situation, they should keep some things in mind. For one, the Kepler mission has managed to last longer than anyone expected. Ever since the K2 campaign began, the telescope has been required to shift its field of view about every three months to conduct a new observation campaign. So while the mission is due to end soon, the science team hopes to gather as much scientific data as possible and beam it back to Earth before then. They also hope to gather some final calibration data using the telescope’s last bit of fuel, should the opportunity present itself. And since they cannot refuel the spacecraft, they hope to stop collecting data so they can use their last bit of fuel to point the spacecraft back towards Earth and bring it home. This has been standard practice for many NASA missions, where enough fuel has been reserved to conduct one last maneuver. For example, the Cassini mission had to reserve fuel in order to descend into Saturn’s atmosphere so it would avoid colliding with one of its moons and contaminating a potentially life-bearing environment. Satellites also regularly conduct final maneuvers to ensure they don’t crash into other satellites or fall to Earth. While deep-space missions like Kepler are in no danger of crashing to Earth or contaminating a sensitive environment, this final maneuver is designed to ensure that the science team can squeeze every last drop of data from the spacecraft. So before the mission wraps up, we can expect that this venerated planet-hunter will have some final surprises for us! Artist’s rendition of TESS in space. (Credit: MIT Kavli Institute for Astrophysics Research). In the coming years, next-generation telescopes will be taking to space to pick up where Kepler and other space telescopes left off. These include the Transiting Exoplanet Survey Satellite (TESS), which will be conducting Transit surveys shortly after it launches in April of 2018. By 2019, the James Webb Space Telescope (JWST) will also take to space and use its powerful infrared instruments to aid in the hunt for exoplanets. So while we will soon be saying goodbye to the Kepler mission, its legacy will live on. In truth, the days of exoplanet discovery are just getting started! Stay tuned for updates from the Kepler and K2 Science Center. When it comes to looking for life on extra-solar planets, scientists rely on what is known as the “low-hanging fruit” approach. In lieu of being able to observe these planets directly or up close, they are forced to look for “biosignatures” – substances that indicate that life could exist there. Given that Earth is the only planet (that we know of) that can support life, these include carbon, oxygen, nitrogen and water. However, while the presence of these elements are a good way of gauging “habitability”, they are not necessarily indications that extra-terrestrial civilizations exist. Hence why scientists engaged in the Search for Extra-Terrestrial Intelligence (SETI) also keep their eyes peeled for “technosignatures”. Targeting the Kepler field, a team of scientists recently conducted a study that examined 14 planetary systems for indications of intelligent life. The study, titled “A search for technosignatures from 14 planetary systems in the Kepler field with the Green Bank Telescope at 1.15-1.73 GHz“, recently appeared online and is being reviewed for publication by The Astronomical Journal. The team was led by Jean-Luc Margot, the Chair of the UCLA Department of Earth, Planetary, and Space Sciences (UCLA EPSS) and a Professor with UCLA’s Department of Physics and Astronomy. In addition to Margot, the team consisted of 15 graduate and undergraduate students from UCLA and a postdoctoral researcher from the Green Bank Observatory and the Center for Gravitational Waves and Cosmology at West Virginia University. All of the UCLA students participated in the 2016 course, “Search for Extraterrestrial Intelligence: Theory and Applications“. For the sake of their study, the team conducted an L-band radio survey of these 14 planetary systems. Specifically, they looked for signs of radio waves in the 1.15 to 1.73 gigahertz (GHz) range. At those frequencies, their study is sensitive to Arecibo-class transmitters located within 450 light-years of Earth. So if any of these systems have civilizations capable of building radio observatories comparable to Arecibo, the team hoped to find out! What they found was that of the 850,000 candidate signals, about 99% of them were automatically ruled out because they were quickly determined to be the result of human-generated radio-frequency interference (RFI). Of the remaining candidates, another 99% were also flagged as anthropogenic because their frequencies overlapped with other known sources of RFI – such as GPS systems, satellites, etc. The 19 candidate signals that remained were heavily scrutinized, but none could be attributed to an extraterrestrial source. This is key when attempting to distinguish potential signs of intelligence from radio signals that come from the only intelligence we know of (i.e. us!) Hence why astronomers have historically been intrigued by strong narrowband signals (like the WOW! Signal, detected in 1977) and the Lorimer Burst detected in 2007. In these cases, the sources appeared to be coming from the Messier 55 globular cluster and the Large Magellanic Cloud, respectively. The latter was especially fascinating since it was the first time that astronomers had observered what are now known as Fast Radio Bursts (FRBs). Such bursts, especially when they are repeating in nature, are considered to be one of the best candidates in the search for intelligent, technologically-advanced life. Between Kepler‘s first and second mission (K2), a total of 5,118 candidates and 2,538 confirmed exoplanets have been discovered within our galaxy alone. As of February 1st, 2018, a grand total of 3,728 exoplanets have been confirmed in 2,794 systems, with 622 systems having more than one planet. On top of that, a team of researchers from the University of Oklahoma recently made the first detection of extra-galactic planets as well! Neptune-Sized Exomoon Found Orbiting a Jupiter-Sized Planet? Finding planets beyond our Solar System is already tough, laborious work. But when it comes to confirmed exoplanets, an even more challenging task is determining whether or not these worlds have their own satellites – aka. “exomoons”. Nevertheless, much like the study of exoplanets themselves, the study of exomoons presents some incredible opportunities to learn more about our Universe. Of all possible candidates, the most recent (and arguably, most likely) one was announced back in July 2017. This moon, known as Kepler-1625 b-i, orbits a gas giant roughly 4,000 light years from Earth. But according to a new study, this exomoon may actually be a Neptune-sized gas giant itself. If true, this will constitute the first instance where a gas giant has been found orbiting another gas giant. The study, titled “The Nature of the Giant Exomoon Candidate Kepler-1625 b-i“, recently appeared in the scientific journal Astronomy and Astrophysics. 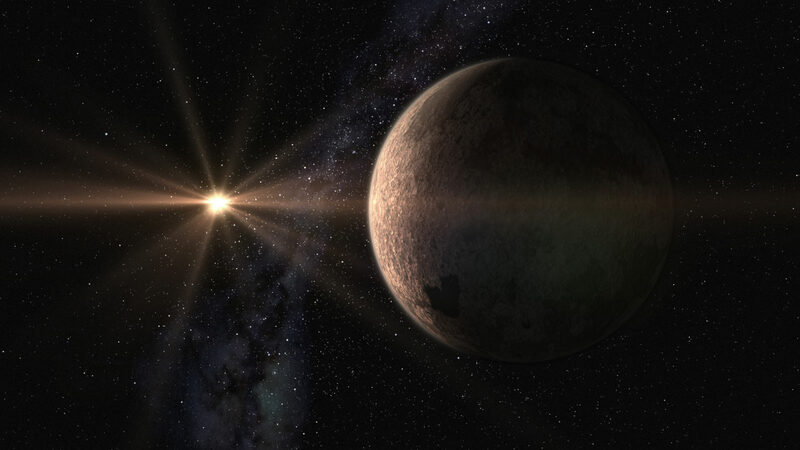 The study was conducted by René Heller, an astrophysicist from the Max Planck Institute for Solar System Research, who examined lightcurves obtained by the Kepler mission to place constraints on the exomoon’s mass and determine its true nature. When it comes to the Kepler-1625 star system, previous studies were able to produce estimates of the radii of both Kepler-1625 b and its possible moon, based on three observed transits it made in front of its star. The light curves produced by these three observed transits are what led to the theory that Kepler-1625 had a Neptune-size exomoon orbiting it, and at a distance of about 20 times the planet’s radius. But as Dr. Heller indicated in his study, radial velocity measurements of the host star (Kepler-1625) were not considered, which would have produced mass estimates for both bodies. To address this, Dr. Heller considered various mass regimes in addition to the planet and moon’s apparent sizes based on their observed signatures. Beyond that, he also attempted to place the planet and moon into the context of moon formation in the Solar System. The first step, accroding to Dr. Heller, was to conduct estimates of the possible mass of the exomoon candidate and its host planet based on the properties that were shown in the transit lightcurves observed by Kepler. Next, Dr. Heller compared the relative mass of the exomoon candidate and Kepler-1625 b and compared this value to various planets and moons of the Solar System. This step was necessary because the moons of the Solar System show two distinct populations, based the mass of the planets compared to their moon-to-planet mass ratios. These comparisons indicate that a moon’s mass is closely related to how it formed. For instance, moons that formed through impacts – such as Earth’s Moon, and Pluto’s moon Charon – are relatively heavy, whereas moons that formed from a planet’s accretion disk are relatively light. While Jupiter’s moon Ganymede is the most massive moon in the Solar System, it is rather diminutive and tiny compared to Jupiter itself – the largest and most massive body in the Solar System. “[T]]he most reasonable scenarios suggest that the moon candidate is more of the heavy kind, which suggests it should have formed through an impact. However, this exomoon, if real, is most likely gaseous. The solar system moons are all rocky/icy bodies without a significant gas envelope (Titan has a thick atmosphere but its mass is negligible). So how would a gas giant moon have formed through an impact? I don’t know. I don’t know if anybody knows. What was equally interesting were the mass estimates for Keple-1625 b, which Dr. Heller averaged to be 19 Jupiter masses, but could be as high as 112 Jupiter Masses. This means that the host planet could be anything from a gas giant that is just slightly larger than Saturn to a Brown Dwarf or even a Very-Low-Mass-Star (VLMS). So rather than a gas giant moon orbiting a gas giant, we could be dealing with a gas giant moon orbiting a small star, which together orbit a larger star! It’s the stuff science fiction is made of! And while this study cannot provide exact mass constraints on Keplder-1625 b and its possible moon, its significance cannot be denied. Beyond providing astrophysicists with the first possible example of a gas giant moon, this study is of immense significance as far as the study of exoplanet systems is concerned. If and when Kepler-1625 b-i is confirmed, it will tell us much about the conditions under which its host formed. In the meantime, more observations are needed to confirm or rule out the existence of this moon. Fortunately, these observations will be taking place in the very near future. When Kepler-1625 b makes it next transit – on October 29th, 2017 – the Hubble Space Telescope will be watching! Based on the light curves it observes coming from the star, scientist should be able to get a better idea of whether or not this mysterious moon is real and what it looks like. The study of exoplanet systems is like pealing an onion, albeit in a dark room with the lights turned off. With every successive layer scientists peel back, the more mysteries they find. And with the deployment of next-generation telescopes in the near future, we are bound to learn a great deal more!